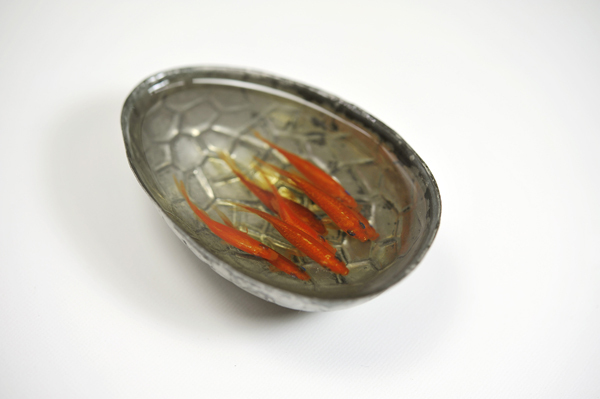 ICN gallery presents “Goldfish Salvation” by artist Riusuke Fukahori from 1 Dec 2011 – 11 Jan 2012. 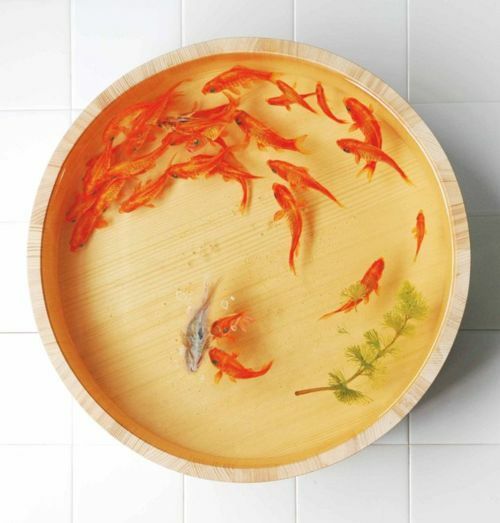 Fukahori’s pet goldfish became his inspiration and ever since his passion and lifelong theme. 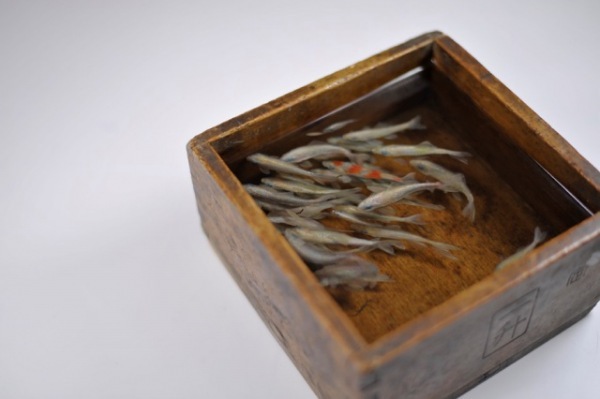 His unique style of painting uses acrylic on clear resin which is poured into containers, resulting in a three-dimensional appearance and lifelike vitality. 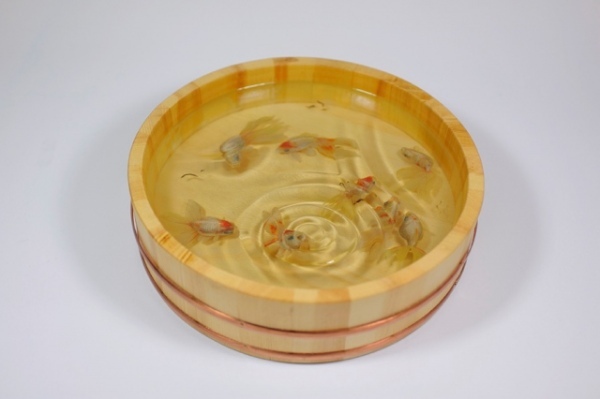 La ICN gallery presenta “Goldfish Salvation”, personale di Riusuke Fukahori dal 1 dicembre 2011 all’Jan 2012. 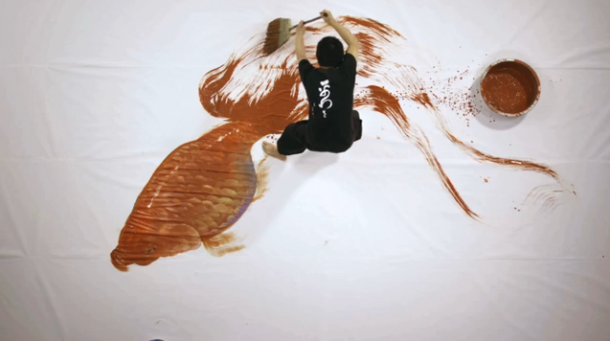 Il pesce rosso di Fukahori è diventato la sua ispirazione, passione e unico tema delle sue opere. Il suo stile unico di pittura ad acrilico su contenitori riempiti poi con resina trasparente hanno come risultato una profondità ed un realismo incredibili, come istantanee tridimensionali di incredibile vitalità. Amazing art, inspires me so much in my own work as an artist. Thank you. I simply want to mention I am all new to blogging and seriously enjoyed you’re web page. More than likely I’m likely to bookmark your website . You absolutely come with beneficial articles and reviews. Regards for sharing with us your website. I’m looking to find out as much about the on-line surfing neighborhood as I can. Can anybody recommend their favored blog sites, twitter takes care of, or sites that you locate most extensive? Which ones are most popular? Many thanks!. MGJLOS Respect to post author, some superb entropy. kCMoFf Wow! This can be one particular of the most beneficial blogs We ave ever arrive across on this subject. Actually Excellent. I am also an expert in this topic therefore I can understand your hard work. I presently am running 2 blog sites, one is for design & development as well as I have a pagerank of 4 on it and also I have tons of excellent posts. And I have one more blog where I have tirades, health tips as well as photography … Should I merge them or should I maintain it seperate?.